To find answers and get help managing decisions concerning your unplanned pregnancy and/ or sexual health, make an appointment at Alternatives Medical Clinic. We provide complimentary urine pregnancy testing. However, a urine pregnancy test is not conclusive of a pregnancy diagnosis. Urine tests measure the hormone HCG. An average of one in five pregnancies ends naturally. HCG levels may still give a positive pregnancy test result, but you may no longer have a viable pregnancy. 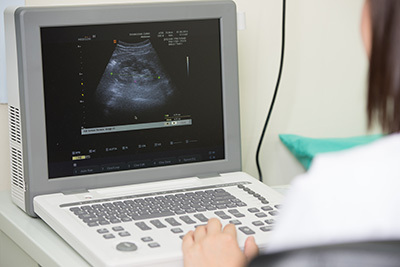 A limited Ultrasound will confirm a pregnancy diagnosis. The type and cost of the abortion you may be considering is partly determined by how far along you are in your pregnancy. A limited obstetric ultrasound provides this information (gestational age). Caring nurses will help you understand the medical health choices available to you and how these choices may affect your physical, emotional, and sexual health. Many providers charge you for each service given. Though they may have a sliding scale concerning fees, you will have to pay cash, use a credit card, get insurance or take time out of your busy schedule to apply for Medi-Cal insurance. Not so with Alternatives Medical Clinic, our nonprofit, community-funded clinic provides our services free of cost. Alternatives Medical Clinic has free services and is a confidential and safe place for you to come. We assist you with accurate medical services by licensed medical professionals and give evidence-based education, helping you to make informed decisions concerning your pregnancy and/or your sexual health. No pressure, no judgement….you decide. We are here to help.